This year Vista Virtual School is offering four new courses for students in grades 5 to 9. 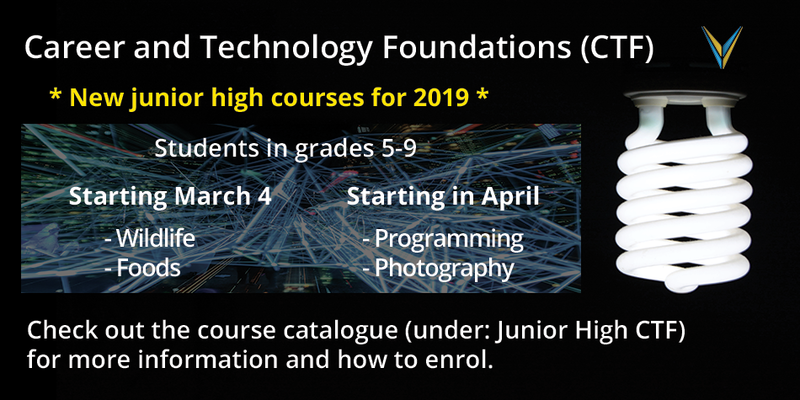 New Career and Technology Foundations (CTF) courses for junior high students start in March and April. Contact junior high Department Head, Bryan Frechette for more information on how to enrol.